Venezuelans crossing the border into Colombia. What are the origins of the Venezuela crisis? Venezuela is a country on the northern coast of South America, with a population of around 31 million people. Over the past few years, thousands of people have been seeking refuge in neighbouring countries due to skyrocketing prices caused by the decreasing price of Venezuela's biggest export - oil, which makes up around 95% of exports. During the early 2000s, when oil prices were high, socialist President Hugo Chávez used oil profits to reduce inequality and poverty, building over two million homes and capping the price of basic goods such as flour, cooking oil and toiletries. When oil prices dropped in 2014, the government suddenly had to make lots of cutbacks. This led many people to begin buying goods on the black market, causing inflation to rise. “The Catholic Church has been on the frontline supporting Venezuelans who arrive by providing food, shelter and emergency aid while working alongside governments across Latin America to do more. How has this crisis affected Venezuelans? Now in the fourth year of recession, Venezuela is struggling with shortages of basic goods and public services can no longer function. The International Monetary Fund estimates that inflation will reach one million per cent in 2018. 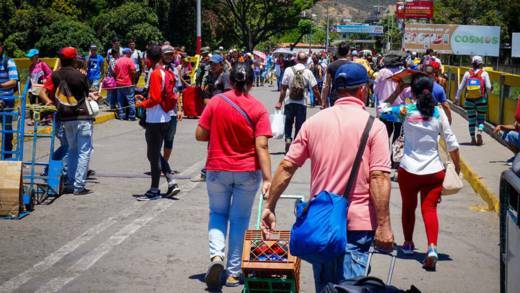 Other issues such as a lack of education opportunities, the recruitment of children into gangs and political unrest – earlier this month, there was an apparent assassination attempt on President Maduro – are all factors which are causing people to leave. CAFOD has been supporting local organisations within Venezuela and in bordering countries to provide aid to the growing number of people who have been forced to flee their homes. What are the effects on neighbouring countries? The United Nations estimated around 2.3 million Venezuelans have fled since 2014. Many of these have arrived in neighbouring countries like Colombia, Brazil, Peru and Ecuador. 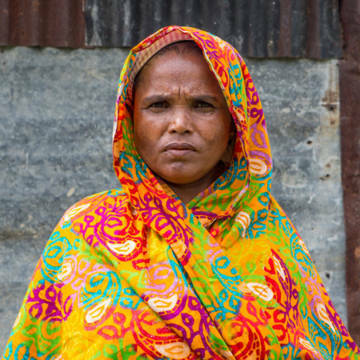 CAFOD has been supporting local organisations to provide aid, including food, shelter, legal aid and psychosocial support, to the growing number of people who have sought refuge in neighbouring countries. What is CAFOD doing to help Venezuelans? Longstanding CAFOD partners, Caritas Colombia, have been supporting migrants crossing the border for several years. Initially, Caritas Colombia opened a restaurant in Cúcuta, a city on the border with Venezuela. As the crisis has grown – it is estimated around one million migrants have now crossed the border into Colombia - they now operate in more places. Their main aim is to supply food and emergency aid, as well as legal and psychosocial assistance. In the North of Brazil, CAFOD’s local partner, Caritas Brasileira, has seen the arrival of thousands of Venezuelan refugees and are working to provide food, shelter, healthcare and sanitation to the new arrivals. Esther Gillingham, CAFOD’s Brazil Programme Officer, said: “Since 2017, the impacts of the political and economic crisis in Venezuela have intensified resulting in increased violence, poverty and a persecution of social protest. Earlier this month, the Brazilian government temporarily closed part of the border in Roraima, North Brazil. Increased tension has caused violence to erupt at some points of the border and led to the army being stationed in some areas.